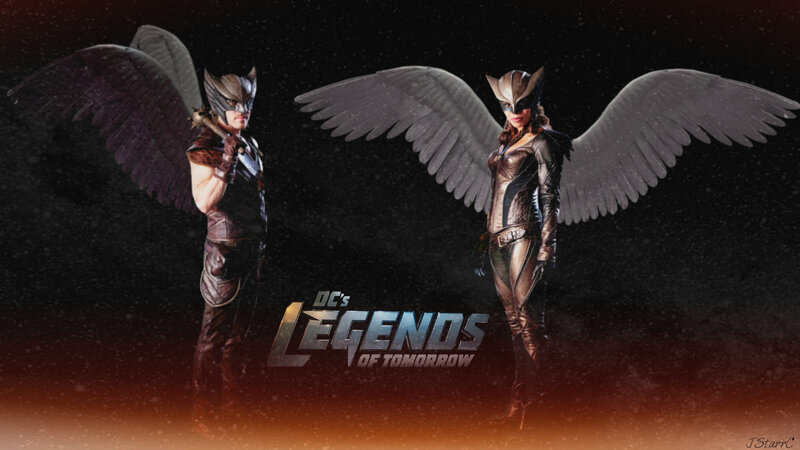 Legends of Tomorrow: Khufu ~Hawkman / Chay-Ara ~Hawkgirl﻿. . HD Wallpaper and background images in the DC's Legends of Tomorrow club tagged: photo legends of tomorrow khufu hawkman chay-ara hawkgirl﻿. This DC's Legends of Tomorrow wallpaper contains anime, comic, manga, cartoon, comic buch, karikatur, and comics.